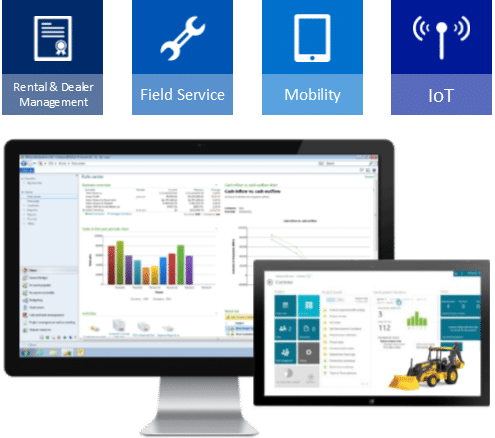 Microsoft Dynamics 365 for Rental is your modern platform for managing the rental and service of nearly any type of inventory. Simplify your rental operations along with your industry challenges like unique billing scenarios, contract management, asset lifecycle management, customer and field service, all on a single and connected platform. processes with cross-departmental functions like contract management, customer service, electronic invoicing and more. At the heart of Microsoft Dynamics 365 is the new common data model that connects the entire rental process chain to the rest of your business applications, including financials, operations, sales, customer service, project service, field service and marketing. A single platform that connects rental operations with financials, sales, field service, customer service project service automation and marketing.